Home renovation can be an exciting time. You finally have the opportunity to make the space in your home exactly how you would like it. However, renovations can be frustrating at times too. One way to alleviate some of that stress and frustration is to get a storage space for your items while the renovations are happening. In today’s Affordable Family Storage blog, we discuss some of the benefits of having an off-site storage space while renovating your home. When you are doing major renovations in your home, you are likely working on several parts of a room at the same time. Instead of having to work around the furniture and other items that were in the room before you started the work. By renting a storage space, you can move all of the items in the room out from under your feet and out of the way. This not only makes completing the renovations so much easier, but it also reduces the chance of your furniture being damaged during the renovation process. Moving them off-site also ensures that other rooms in your house won’t become additionally cluttered and harder to use because of the furniture from the renovated area. Moving your items out of your renovation area and into a storage space also frees up a lot of area for the tools and supplies you’ll need during the project. 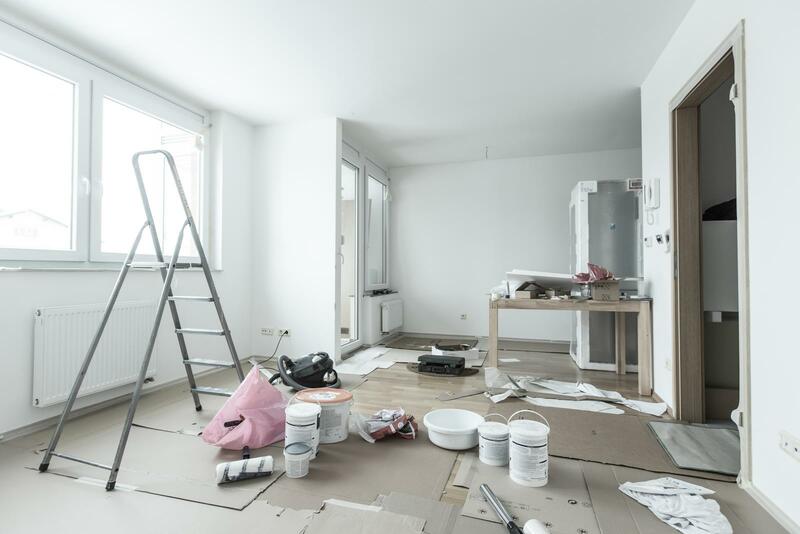 Boxes of flooring, paint cans, and power tools are common items needed in a renovation project, and having furniture and other personal items out of the way allows the renovators to have more space and prevents your items from being damaged by the equipment. By choosing to store your items in an off-site storage space, you choose to save yourself some time and effort from having to protect your furniture from the dust and debris that stirs up during renovations. A storage space means you won’t have to use as many tarps and as much plastic to prevent damage. While we do suggest protecting the items you keep in the storage space, you don’t have to take nearly the level of precautions you would if the items were kept in the renovation space. Find Your Storage Space at AFS in Des Moines! If you are getting started on a home renovation project in the Des Moines area and need a storage space to get your items out of the way, contact Affordable Family Storage today! We offer storage units in a variety of sizes, and our online payment system makes paying your bill simple and easy. Reserve your unit online today!